A fortnight after thrashing Man. City at Camp Nou, Barca are traveling to Etihad Stadium to take on Pep Guardiola’s men for their UCL group-stage away fixture. This is a crucial match for the Citizens since another loss against the Cules and a win for Mönchengladbach against Celtic in the other game of group C will see City fall down to 3rd place and the German side moving up to 2nd. 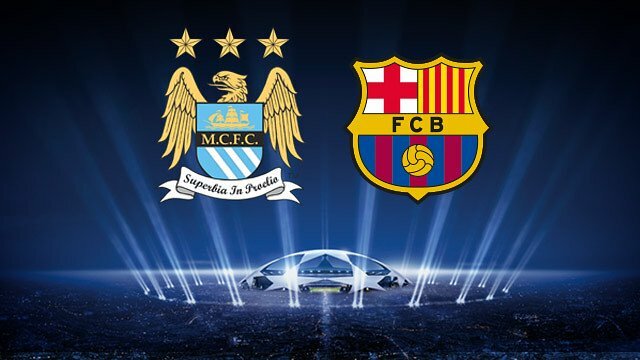 For City though, history is not on their side since they have not won any of their five outings against Barca! In their recent meeting, Barca decimated the leaders of the Premier League 4-0 as Leo Messi grabbed his second hattrick at UCL this season and Neymar added the fourth. City’s defensive woes kept coming as their goalkeeper, Claudio Bravo received a red card after coming out of the box and attempting to save Suarez’s shot with his hands. Overall, it was a night that the Man. City players would not want to remember for a long time. Barcelona have won their last two games after that clash against City, albeit narrowly. Scoring is not a major concern at all for them. The forward trio of MSN can turn the tide of a game at any point. However, they will miss the service of their midfield maestro, Andres Iniesta who will not feature tonight due to injury. Defenders Pique and Alba will also miss the clash due to injuries and Mathieu is suspended after being sent off at Camp Nou. This means that Barca will have to do away with a makeshift back four of Roberto, Mascherano, Umtiti and Digne with Ter Stegen standing in front of goal. Umtiti was impressive during the home fixture against City a fortnight ago and had a great game against Granada too. His partnership with Mascherano will be crucial tonight. Barca will also have the services of Roberto in right-back after he missed the home clash due to injury. Arda Turan is back from his injury and will play in the midfield alongside Busquets and Rakitic. Rafinha, despite having an amazing season so far as well as scoring the only goal against Granada on Saturday, might not feature in the starting XI. The front line of MSN will remain unchanged. Luis Enrique’s men are yet to lose any game against City, scoring 12 goals and conceding only 2 in all five meetings. Unsurprisingly, Messi will be their key player tonight as he looks to haunt Pep Guardiola once again. Manchester City will miss Bravo due to suspension and Willy Caballero will feature as their goalkeeper. Sagna will miss the clash due to injury but Zabaleta could return for this fixture. The rest of the XI will comprise of Stones, Company, Clichy, Sterling, De Bruyne, Fernandinho, Gundogan, Silva and Aguero. Guardiola will opt for Aguero in the starting XI tonight since City have to win this game to keep the hopes alive for topping their group. His decision to opt for an extra midfielder during their previous match led to City missing their key player in the starting XI. They lacked his sharpness in front of goal that night. For City to win this game, Aguero needs to be at his absolute best. Additionally, the back four of Zabaleta, Stones, Company and Clichy cannot afford to make any mistakes tonight. 3 out of the 4 goals that Barca scored in their last meeting were due to individual errors of the City players. Should that happen again tonight, City’s chances of qualifying for the knockout rounds of the Champions League will be in jeopardy. Pep Guardiola has lost two of his three games against Barca as a manager till now. However, he is still undefeated as a coach at Etihad Stadium and will look to extend the record. For that to happen, a rejuvenated City will need to beat Barca for the first time ever! On the other hand, a win for Barca will assure the Cules a place at the knockout stage. The first group-stage clash saw Barca making light work of City. Neutral fans will want a close contest tonight. It will be a shame if the teams fall short of that! Author’s prediction: Barcelona wins 2-1.